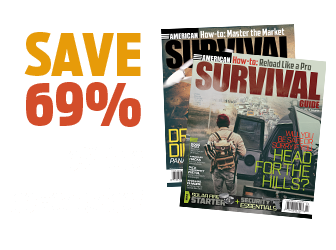 As the prices get higher and the regulations on ammunition become more stringent, the incentive to collect brass and reload your own ammunition becomes stronger. 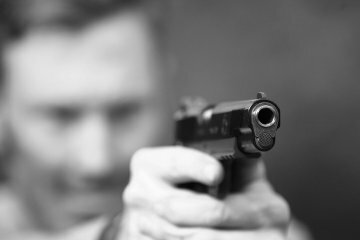 When you buy loaded ammunition at a store, part of what you are paying for is the bullet, the powder, and primer, and the rest of that cost is the brass used in the case. Reloading allows anyone to reuse that brass case, thereby saving you money on buying new brass. And almost all brass ammunition is capable of being reloaded. Leaving brass on the ground at the range is just wasteful, and who can afford that? The procedure of reloading is very simple. A cartridge has a primer at its rear, powder in the middle, and a bullet at the front. When you fire the cartridge, the primer goes off, the powder burns up, and the bullet fires out of the muzzle. Reloading amounts to nothing more than putting in a new primer, new powder, and a new bullet into an old brass case. 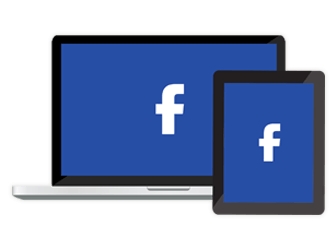 To accomplish this, there is a host of equipment necessary and many companies available that offer quality gear for reasonable prices. 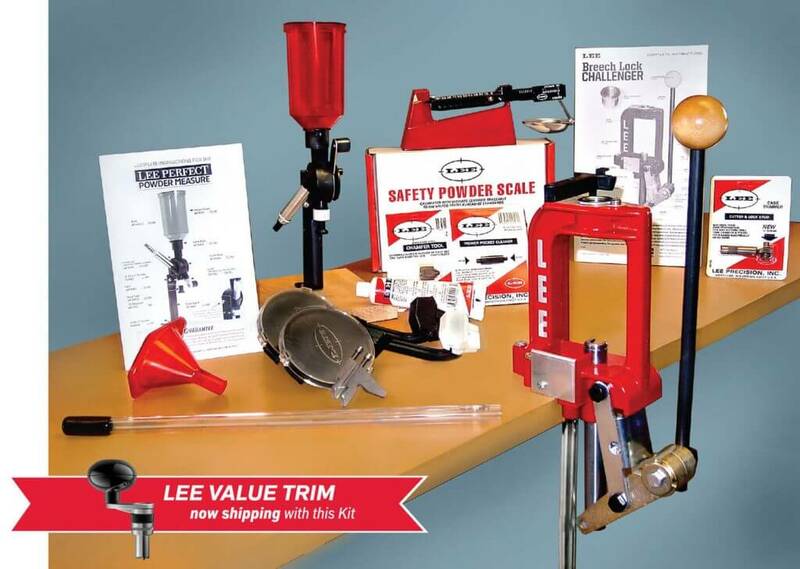 Lee Precision offers this Breech Lock Challenger Press kit, which includes the new Breech Lock Challenger Press and one Breech Lock quick-change bushing. 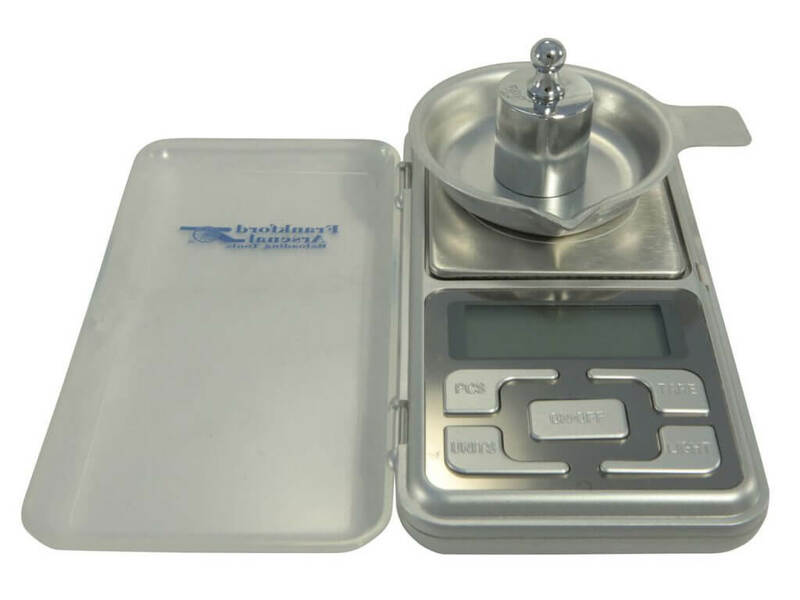 Also included is a complete powder handling system with a convenient and repeatable Perfect Powder Measurer, plus the Lee Safety Scale, a very sensitive and safe powder scale, and the Powder Funnel. Case preparation tools include the Lee Value Trim case trimmer to trim on your reloading press and a cutter and lock stud to trim your cases by hand. An included chamfer tool chamfers the inside and outside of the case mouth and a tube of premium sizing lube is included. 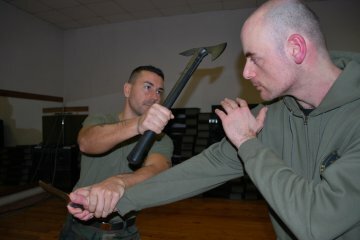 A small and large primer pocket-cleaning tool completes the case preparation package. 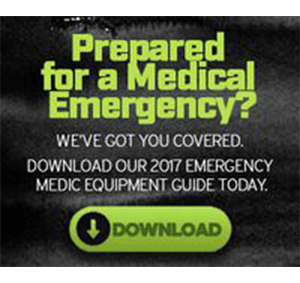 With the included large and small Safety Prime, with push-button convenience, you will never have to touch the primer. Lee Precision’s Perfect Powder measurer eliminates cut powder and reduces the jerky action and drum binding over other designs. The micrometer adjuster reads directly in cubic centimeters and the o-ring positively locks the adjustment and removes any end play. 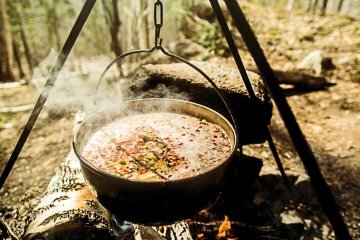 The Perfect Powder Measure throws charges from two grains to more than 100 grains. To change out powder, all a reloader has to do is rotate the hopper a quarter turn to shut off powder flow and lift off the hopper. The Perfect Powder Measure also has an integral powder baffle and comes with a tapered drop tube to prevent powder bridging. Capable of reloading 200 shells per hour, the Lee Load-All II’s hopper holds over 5 pounds of shot, enough to load 125 rounds. It has a built-in primer catcher with an easy-to-empty door right up front. The recesses at each station allow for quick shell positioning, while the optional primer feeder means you never need to touch the primer from the box to the shell. 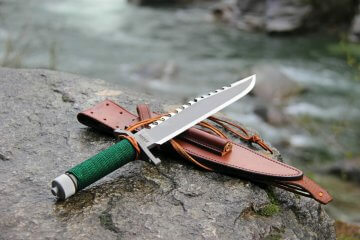 The unit is adjustable from the standard 2 ¾-inch shell, up to a 3-inch shell, available in 12, 16 and 20 gauge. Twenty-four shot and powder bushings are included. The Frankford Arsenal Quick-N-EZ Case Tumbler has a unique bowl design that increases brass agitation for fast, aggressive cleaning that reduces wear on reloading dies and extends brass life. A clear lid lets the user monitor the tumbling action, while a cord-mounted on/off switch provides safety and convenience. At the center of it all, the powerful motor is solid and reliable. The bowl has a capacity of 600 9mm cases or 360 .223 Remington cases. The DS-750 from Frankford Arsenal is a great scale for budget-minded reloaders. 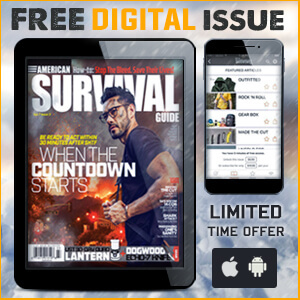 It delivers extreme accuracy for precise measurements of bullets, cases, powder, and even loaded ammunition. Achieving maximum accuracy potential of handloads is easy with this scale, and it even incorporates a plastic covering to protect the sensitive electronics during storage and transport. It has a capacity of 750 grains, and displays measurements in grains, grams, carats, or ounces, accurate within 1/10th of a grain. The unit comes with batteries, calibration weights, powder pan, and a carry pouch. It features auto calibration, tare function, and a counting function, all displayed on an LCD screen with a blue backlight. The Hornady Reloading Counter Mat is a great reference tool for your reloading bench. 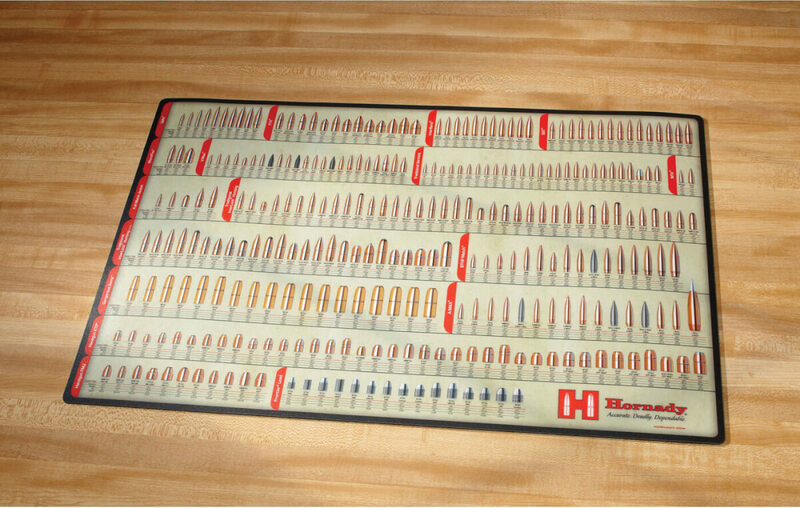 This non-skid bullet mat features the entire line of Hornady bullets with corresponding caliber, diameter, weight, ballistic coefficient, sectional density and Hornady’s item number. The Counter Mat also doubles as a cleaning an d maintenance mat, protecting your workbench from solvents and oils. The slick plastic finish on the mat will not absorb solvents and oils and cleans up quickly. It is 17 x 26 inches and features Hornady’s full line of projectile products. The back is neoprene. 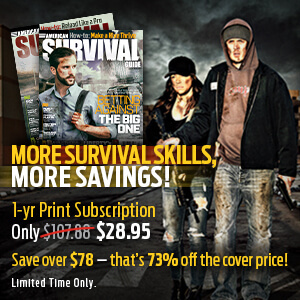 The American Standard bullet poster is full color and spans 36 by 24 inches. The images on the poster are all actual size (within 4/1000 of an inch), and it includes all American Standardized cartridges (rifle, handgun, and shotgun), available January 2012, military surplus, and a few bonus cartridges as well. 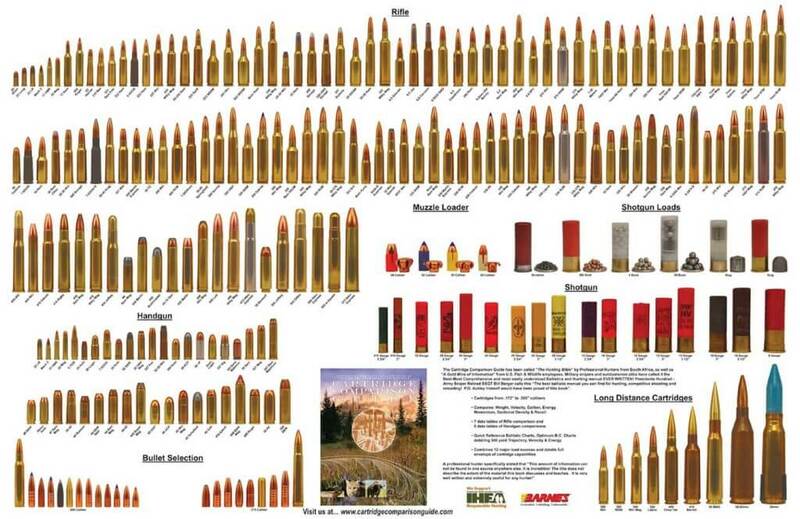 The poster displays 165 unique rifle cartridges (from the 17 caliber Mach 2 and 22 LR up through the 505 Gibbs and 577 Nitro), 55 handgun cartridges (from the 17 HMR and 22 LR to the 500 S&W including the 5.7×28 and the 44-40, 38-40, and the 357 Maximum, 445 Super Mag, and the 45 Win Mag), and nine different shotgun gauges (410 and 32 gauge up to the 8 gauge). 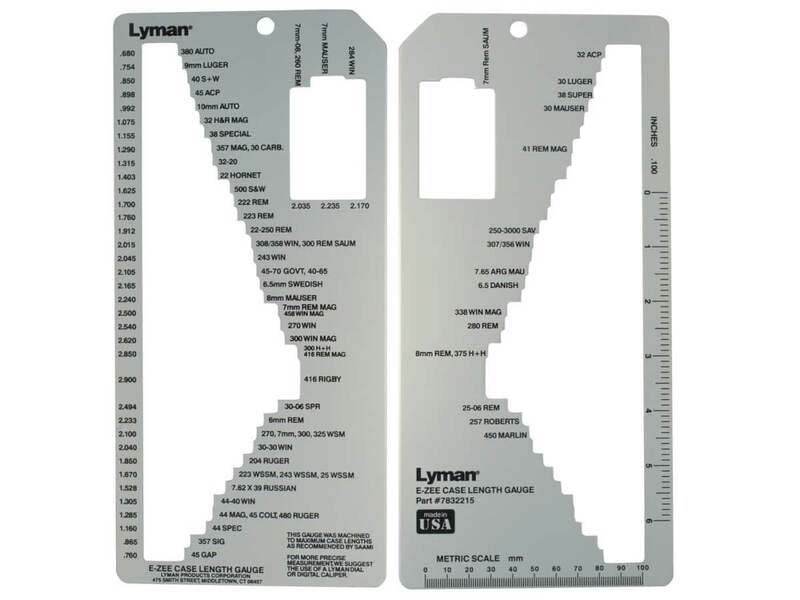 Lyman Products’ improved version of its E-Zee Case Gauge (both sides shown) measures the case length of more than 70 popular rifle and pistol cases. Many new specialty cartridges are included like the Winchester Short Mags, 204 Ruger, 500 S&W and others. Precisely made, this rugged metal gauge makes sorting cases quick, easy, and accurate. Lyman Product’s popular Expert Kit has always been the one kit with a complete selection of top quality equipment. Now the Deluxe Expert Kit is the first to offer a digital scale, as part of a selection of the best reloading tools in one package. Just add components and start loading your ammunition. For powder handling, no other kit combines both a new digital scale and Lyman’s powder measurer. In addition, the kit includes a universal case trimmer with nine pilots. 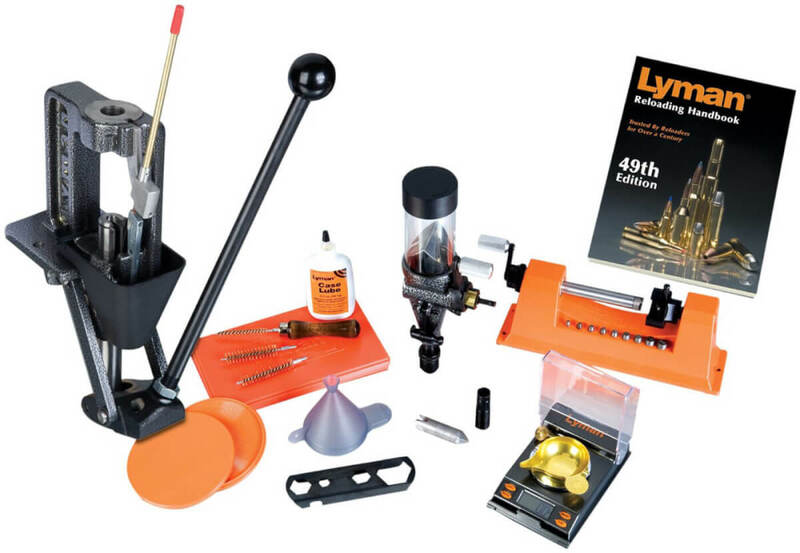 To complete the kit, all the accessories needed to add speed and versatility are included, as is Lyman’s all-new 49th Edition Reloading Handbook. 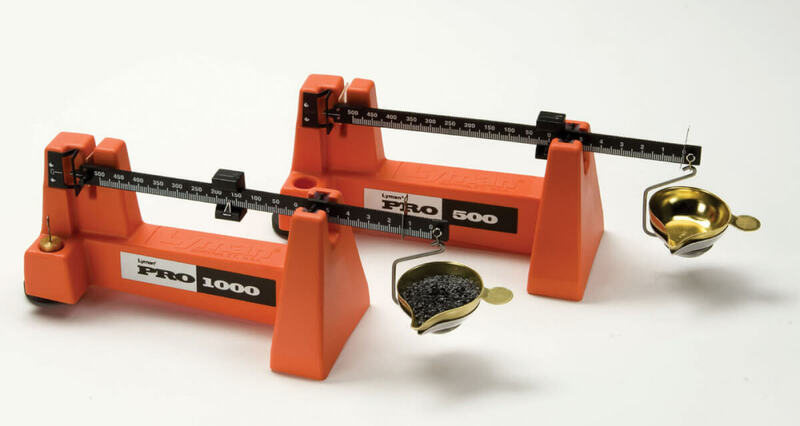 Pro 1000 scale offers precision accuracy on a high impact styrene base. It can measure up to 1000 grains and is accurate to 1/10th of a grain. It features extra large leveling wheel, dual agate bearings, and a large dampener. The scale zeros in seconds. Need up to 1,010-grain capacity with +/- 0.1-grain sensitivity? 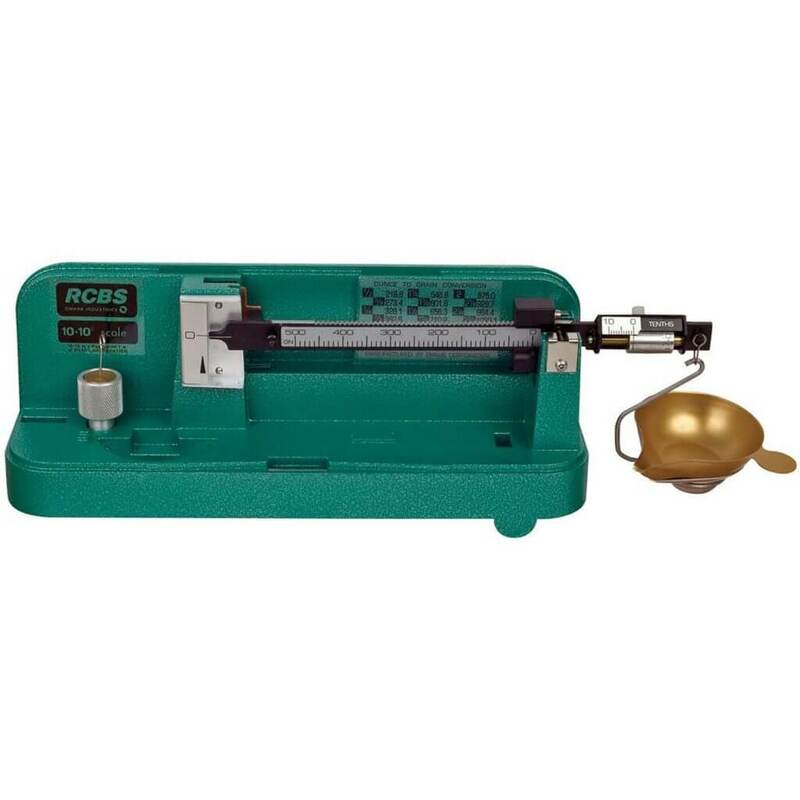 Reloaders get it with the RCBS 10-10 scale. 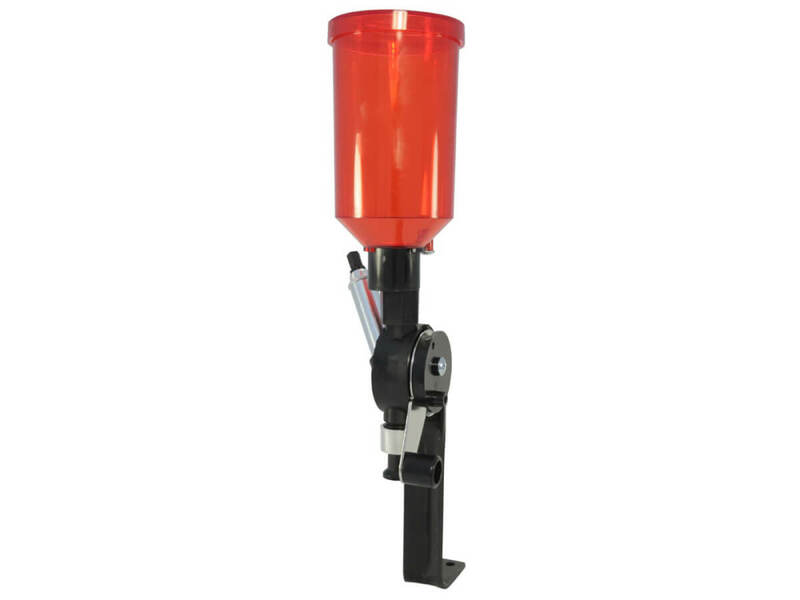 Its approach-to-weight system speeds reloading and helps reloaders avoid overloads. A micrometer poise allows easy adjustment at any setting from 0.1 to 10 grains. Other features include magnetic dampening, a non- stick/non-spill aluminum pan, self-aligning agate bearings, hardened steel pivot knives and a tough plastic cover. 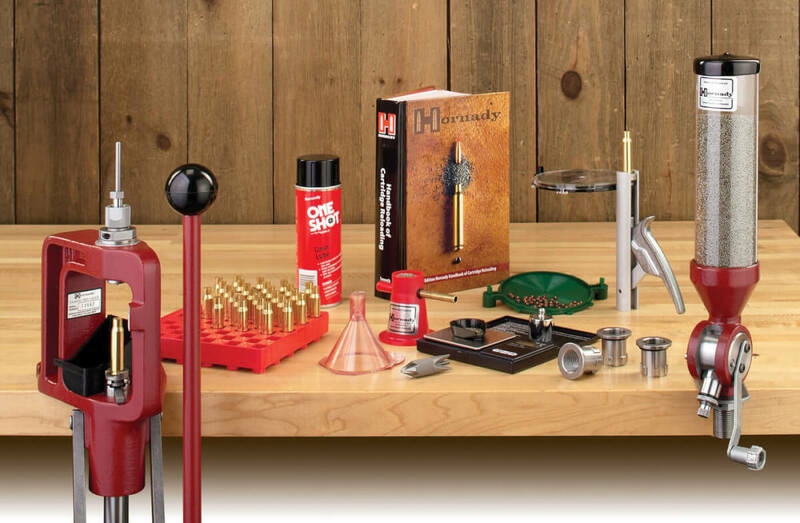 The Hornady Lock-N-Load Classic Reloading Kit comes with everything you need to turn out high-quality, accurate handloads. 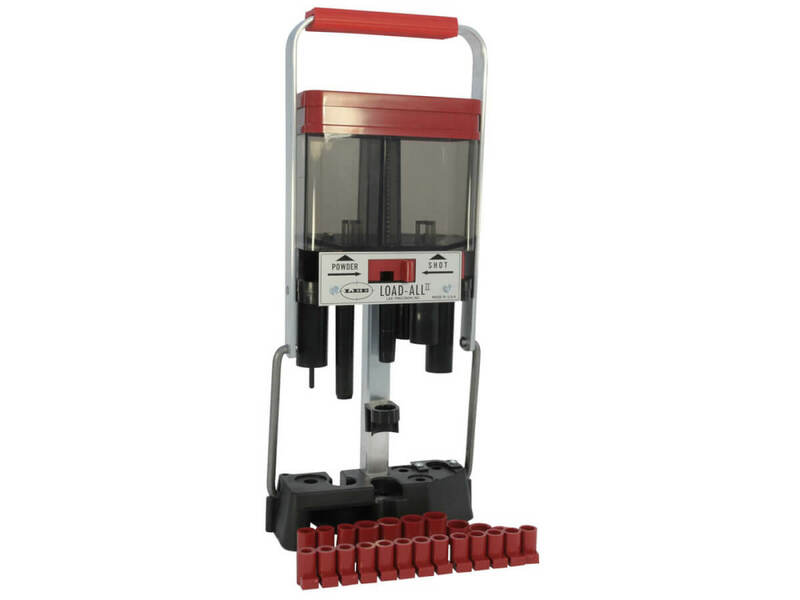 The kit includes a single-stage press, powder measurer, electronic scale, die bushings, primer catcher, a priming system, hand-held priming tool, a universal reloading block, a chamfering and deburring tool, and a primer turning plate. The Hornady Handbook of Cartridge Reloading is especially valuable, with hundreds of rifle and pistol loads for every shooting application. The system lets you switch dies to a new caliber and begin reloading again in seconds. The automatic priming is hands-off and trouble free, while the angled frame gives you easier access to your cartridges. The bushings let you adjust your dies once, then lock the setting into place, for consistent reloads. With this system, one press can handle multiple calibers. 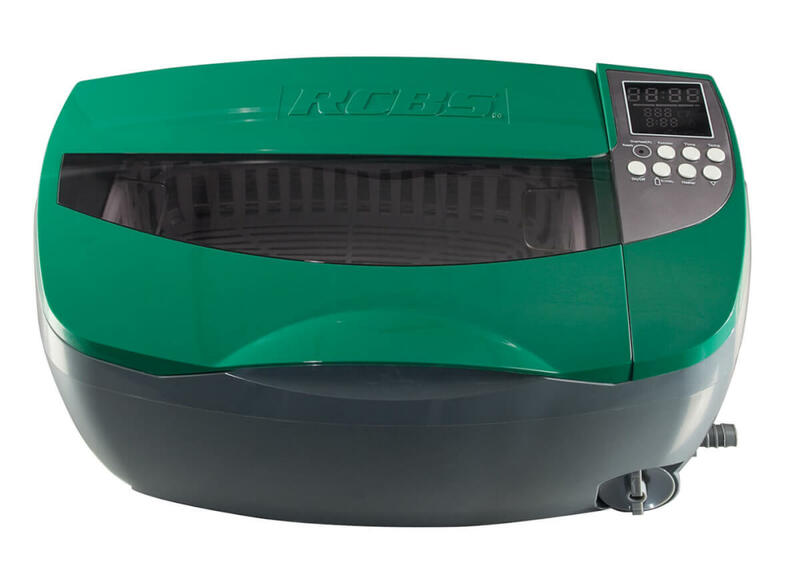 RCBS’s Ultrasonic Case Cleaner is a 3.2-quart stainless steel tank that holds a large volume of brass cases, can rapidly removing tarnish, carbon buildup, and metal oxides. 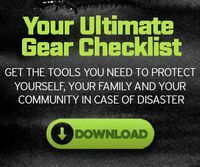 Use the keypad and display to select one of five preset temperature settings and set the timer from 1 to 30 minutes to match the case-cleaning needs. It features a 60-watt transducer, 100-watt ceramic heater, 36 kHz ultrasonic frequency, and a sensor that indicates when to change out the solution. The cleaner has a degas function, plastic basket, and convenient drain valve and tube. 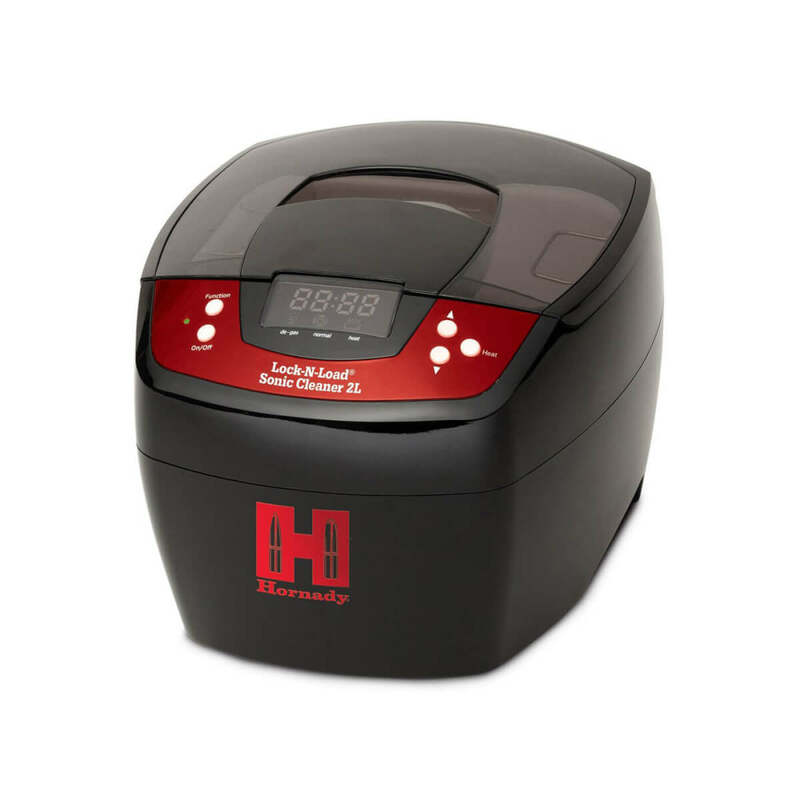 Hornady Manufacturing now offers its new Lock-N-Load Sonic Cleaner. A combination of intense ultrasonic cleaning action and a unique cleaning solution, One Shot Sonic Clean, provide an effective and efficient method to remove carbon residue and other foreign materials from the entire case. 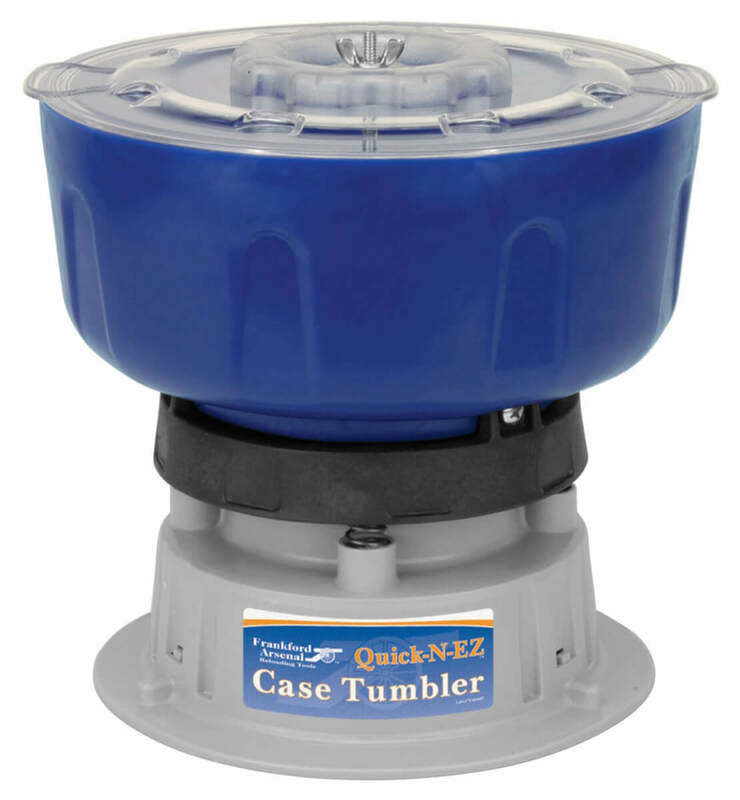 Unlike tumblers, this sonic cleaner quickly cleans the inside of the case, as well as primer pockets. The ultrasonic action creates microjets that blast carbon buildup off cases, small gun parts and equipment. The Lock-N-Load Sonic Cleaner can hold up to 200 .223 cases or 100 .308 cases. 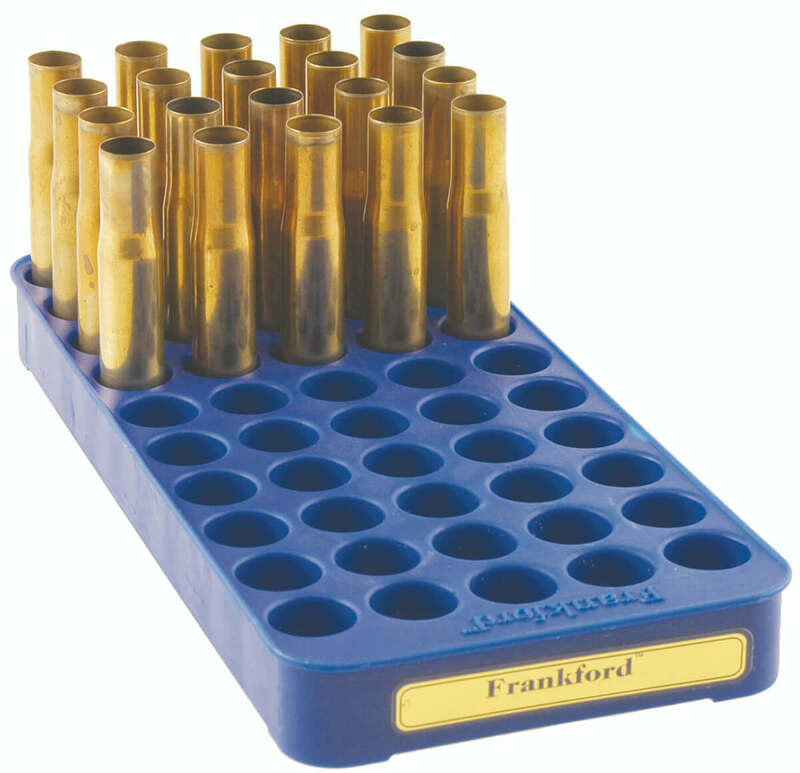 Frankford Arsenal Perfect-Fit Trays are sized for individual calibers or a family of calibers for a precise fit. Perfect-Fit trays are an essential tool organization. Twelve tray sizes are available for 25 ACP through 500 Nitro. Each tray holds 50 cases (tray number 9 holds 45). A lip around the outside edge provides a sure grip on the tray.